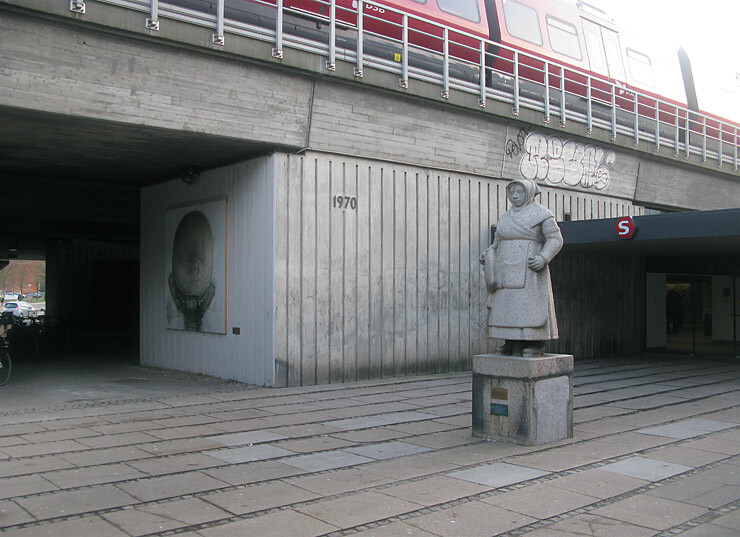 Anne Skole Overgaard is exhibiting a photo of an empty niche on the billboard next to Charles Svejstrup Madsen's sculpture of a fisherwoman from Gl. 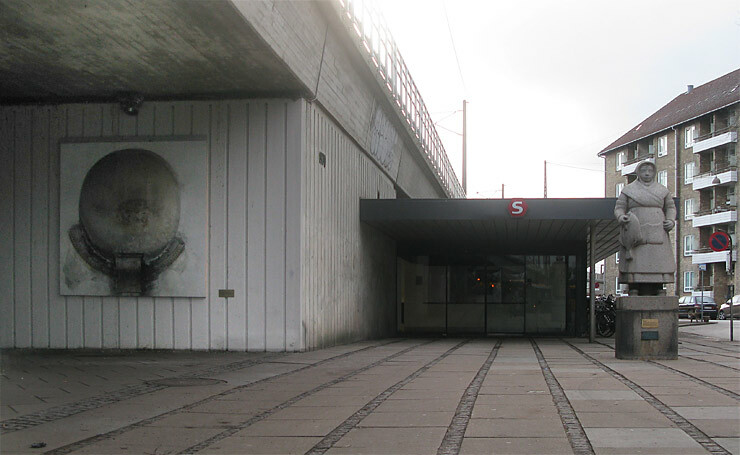 Strand, which is placed at Sydhavn station for a year. The niche shows the absence of a sculpture. Inside the niche there was once a smaller sculpture, probably of Virgin Mary or another saint. 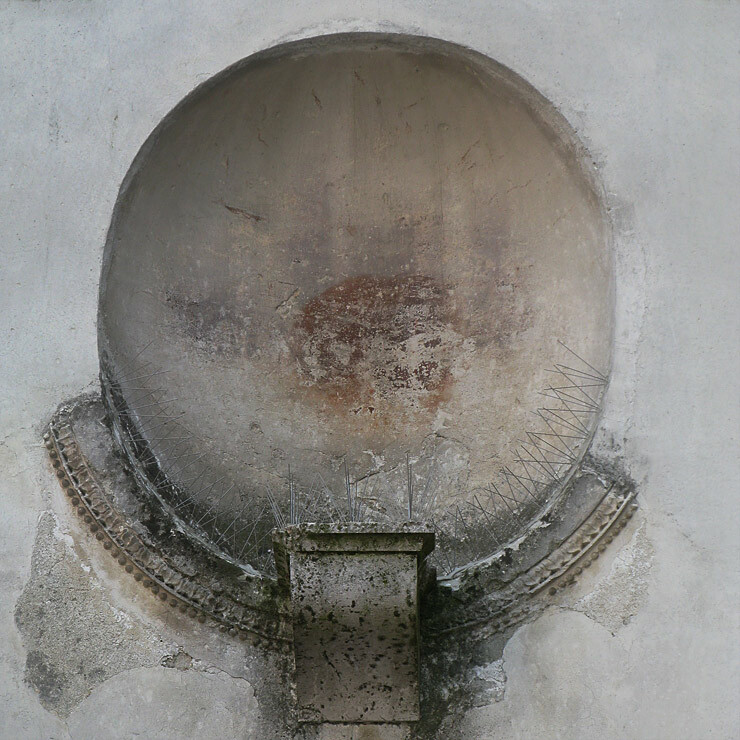 The niche is situated at the outer wall of a house in the Italian town of Sabbioneta, which was built in the renaissance. The town is an unusually pure example of the renaissance theories of the ideal city, with a star-shaped defence wall and streets following a strict system. Today the town seems like a strange place; half empty and half inhabited, half museum and half town. Now a row of steel spikes are placed inside the niche to keep the pigeons away. Around the niche are the remnants of a decorative rim and the rest of the edge is repaired by a fresh layer of plaster. Copenhagen is currently undergoing a long-term rebuilding due to the construction of a metro circle line. For that reason, several sculptures has been moved and stored temporarily, but one of these sculptures has come to light again. At the request of the exhibition space Sydhavn Station, Charles Svejstrup Madsen's sculpture "Fisherwoman" from Gl. Strand, has been erected at Sydhavn Station Square, for one year from July 2015 to July 2016. 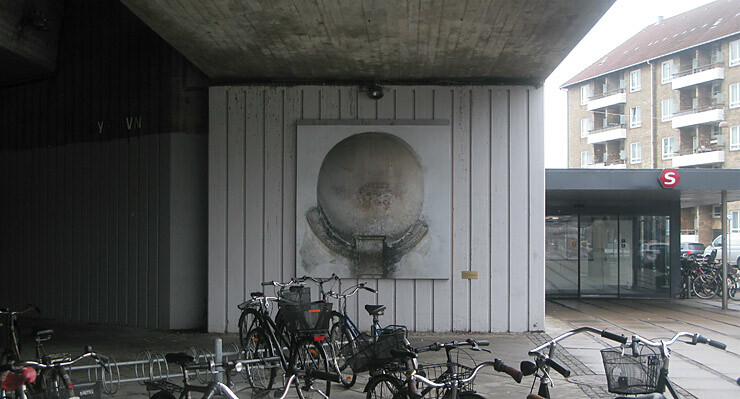 During this period the fisherwoman will be accompanied by contemporary art in a large billboard, which is set up outside the station on a wall under the railroad bridge. Here the 10 artists behind the exhibition space Sydhavn Station will make exhibitions in poster format, which in various ways will relate to the visit. The fifth artist in the series is Anne Skole Overgaard. 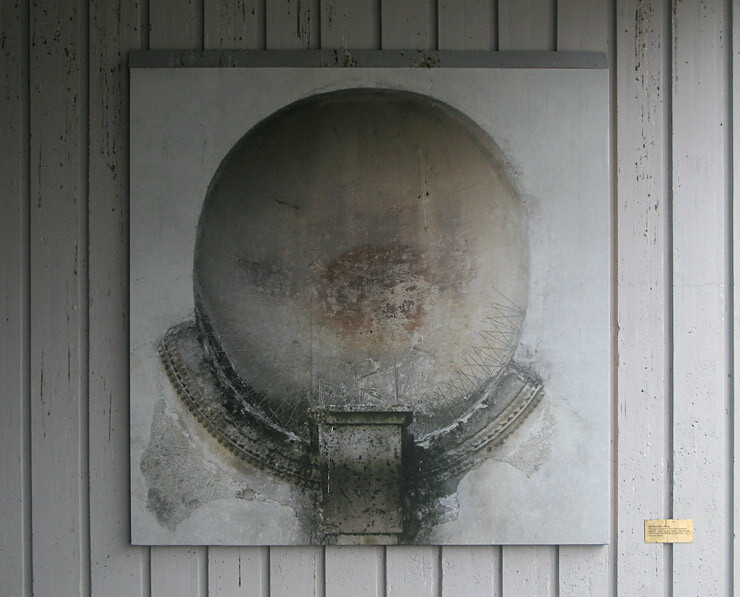 The other artists are: Jens Axel Beck, Sonja Lillebæk Christensen, Claus Ejner, Thorgej Steen Hansen, Heidi Hove, Morten Jacobsen, Mette Juul, Camilla Rasborg and Ulla Hvejsel.